The origins of die casting stretch back to 1838 and feature prominently in the history of publishing with die casting equipment and processes used in creating movable type. Over the last 180 years, die casting has found its way into multiple applications and industries, enabling high volume production of consumer goods and appliances. The economies of scale facilitated by die casting make products more affordable while driving superior performance, which is why it’s ideal for producing tiny parts found in small engines. Die casting is a process of injecting molten metal under pressure into dies or molds to form metal objects. Non-ferrous metals such as aluminum, copper, lead, magnesium, and zinc along with their alloys are commonly used to produce castings. The intended function, loads, and operating environment of the casted component, along with economics, will dictate metal selection as each has its own specific physical properties (e.g., strength, weight, hardness) that must be taken into consideration. Why Die Cast Small Parts? Small engines such as the ones found in leaf blowers, lawn mowers, and boats rely on tiny components including gears, shafts, cams, ratchets, levers and pinions all designed with specifications that must be precise. Out of specification parts can lead to poor engine performance, inefficient fuel consumption, and decreased product life. Manufacturing parts via die casting drives greater accuracy and repeatability, producing accurate components that meet specifications every time. A single casting has the ability to replace multiple parts, which optimizes material usage, costs and the speed of the production process. Manufacturers can fashion castings in a way that eliminates the need for additional milling, boring, reaming, grinding, and even finishing operations. And the reduction in components promotes an extensive product life as there are fewer parts that can fail. The history of die casting may have begun in the 19th Century, but the process has evolved and advanced with time. Modern die casting leverages advanced technology and automation to create a superior method for mass producing tiny, even complex shaped parts while achieving repeatable, pinpoint precision. Walbro is a leading manufacturer of small engine parts and a supplier of high-pressure aluminum die casting to numerous industries. Visit us online to learn about our world-class die casting capabilities. 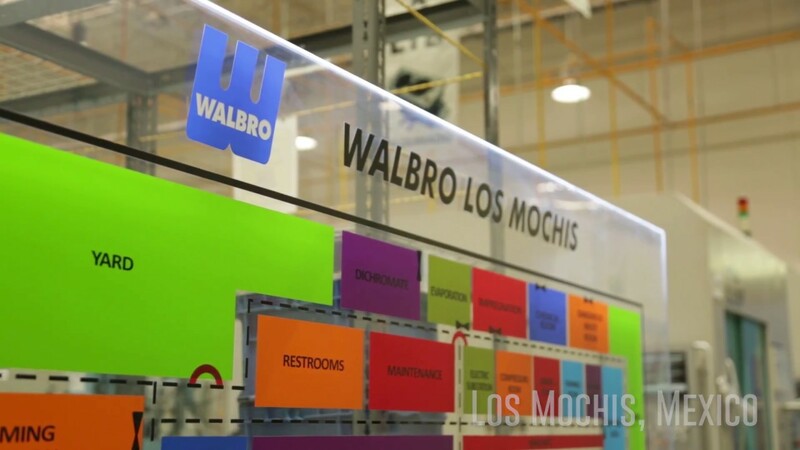 Walbro. We enable machines… that make life better!